I his is one of two species of pelican that plunge-dive for fish, hurtling down from the air with spread wings that are stretched back as the bird hits the water. 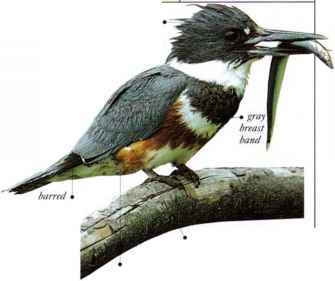 The birds also occasionally catch fish while swimming on the surface. 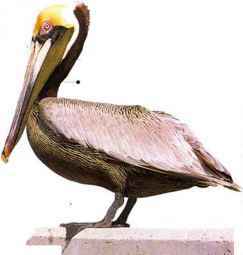 The Brown Pelican is common along sea coasts and estuaries, and is often tame and trusting. Nest colonies are usually located on coastal islands. • NEST A hollow ill the ground, lined with feathers and debris; or a mound of mixed materials; or a stick platform in a bush or tree.